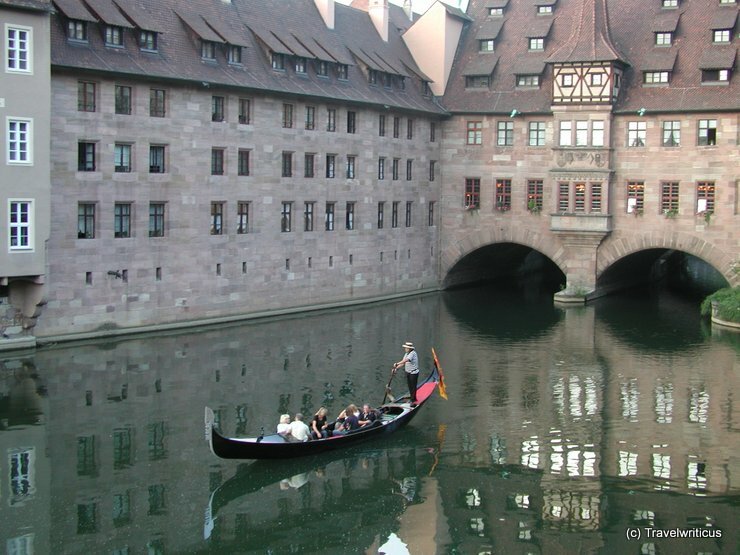 While my visit at Nuremberg I was told there is one man with a licence for a gondola. After some hours watching the river in the middle of the city I was able to catch him on a photo. The building in the background is named ‘Heilig-Geist-Spital‘. During medieval times it used to be a home for old and sick people. This entry was posted in Urban Walks and tagged Bavaria, Franconia, Germany, Nuremberg by Travelwriticus. Bookmark the permalink.